Buy a prison flat – but don’t bring your car. | Don't mention the M word! Buy a prison flat – but don’t bring your car. 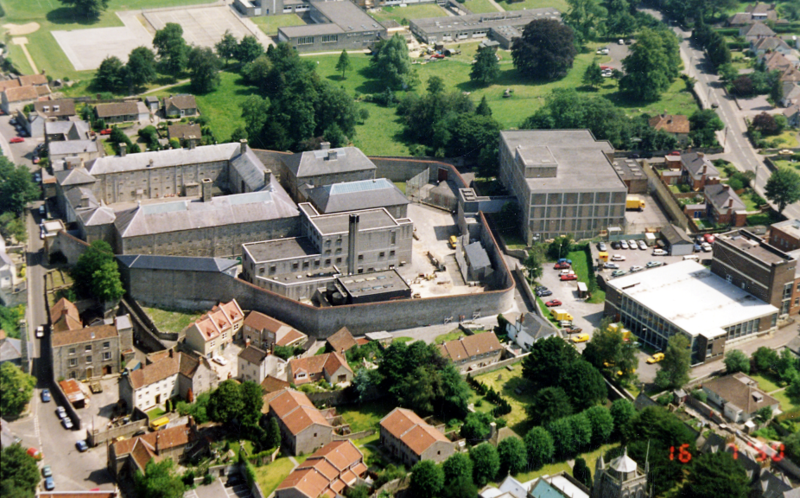 Shepton Mallet Prison has been lost to a developer’s viability plan, denying the town of its rightful share of a windfall heritage asset. It came down to a planning committee, with 8 voting for the proposal and 4 against. We now will have a 400 year old ancient prison of some significance being transformed into 146 flats, where there are 6 parking spaces for every 5 homes (some of which have 3 bedrooms). This includes visitors and delivery spaces. Most agree this is at least 100 spaces short. Neighbours fear the consequences in an area that already has severe parking issues, there isn’t enough street parking for those living there now. Local ward councillors – who know the area, who listen to the community – were unified in their opposition of the plans. Their vote, voice didn’t count. I don’t envy City and Country, who now have to deliver a project that has never been tried before in Europe, with all the ward councillors disappointed with their ideas and community engagement, and many neighbours feeling not listened to. While those in the community, wider region and other parts of the country who wanted to see the prison’s future use being of mixed use – including a heritage draw for the town – are quite mad at this decision, a decision taken by district councillors from outside the town. One wonders should a decision of this importance to Shepton have been decided by a planning committee, rather than a full council, who seemed more fixated on the impending first planning application appeal and the potential risk and cost to losing that appeal. This isn’t the end, this is the start, we are watching with keen interest how City and Country get on. We didn’t get a vision for the prison that was community-led,we got a future that is flats attached with eco-friendly parking plan in an area with little sustainable transport and crippling parking issues. Buy a flat – but don’t bring your car is City and Country’s message to Shepton.